On Wednesday night, during a segment analyzing Mitt Romney’s debate performance, Hardball host Chris Matthews zeroed in on the exchange between President Obama and Romney that dealt with oil and gas permits. Matthews said that Romney’s treatment of the President shows that he doesn’t understand the Constitution. Romney: In the last four years you cut permits and licenses on federal land and federal waters in half. Obama: Not true Governor Romney. Romney: No. no, how much did you cut licenses and permits on federal land and federal waters? Romney: I had a question, and the question was–how much did you cut them by? Obama: You want me to answer a question–I’m happy to answer the question. As Romney was addressing the President, telling him that he didn’t think anyone believes that he is a person who would be pushing for oil, gas and coal, Obama rose out of his chair and started to approach Romney. Romney then told the President that he was still speaking and that he would get his chance. How Romney treated the President is subject to interpretation. Conservatives mostly viewed Romney as being aggressive, while liberals like Matthews felt he wasn’t being deferential enough, or even that he was “petulant,” as former Senator John Kerry said yesterday. 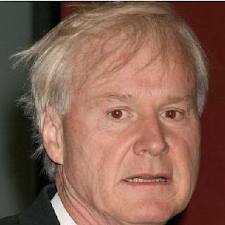 What is not subject to interpretation, however, is Matthews claim that the Constitution bars one from challenging the president, in the manner Romney did. Looks like Chris needs a remedial lesson on the Constitution. We still live in a constitutional republic, not a royal monarchy.